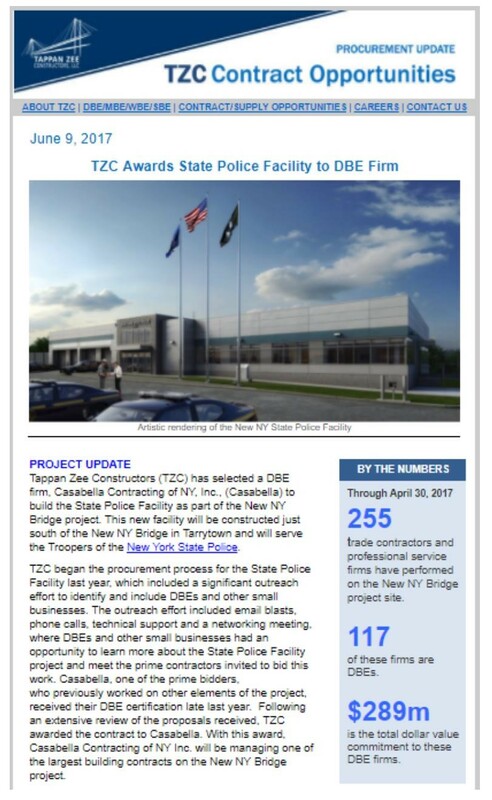 TAPPAN ZEE CONTRACTORS : STATE POLICE FACILITY — W.H. Kassner, Inc. IT IS OUR PLEASURE TO ANNOUNCE THAT WHK WILL BE WORKING WITH DBE GENERAL CONTRACTOR, CASABELLA CONTRACTING OF NEW YORK, INC., ON THE STATE POLICE FACILITY BUILDING LOCATED ON THE WESTCHESTER SOUTHBOUND SIDE OF THE NEW YORK THRUWAY 87.